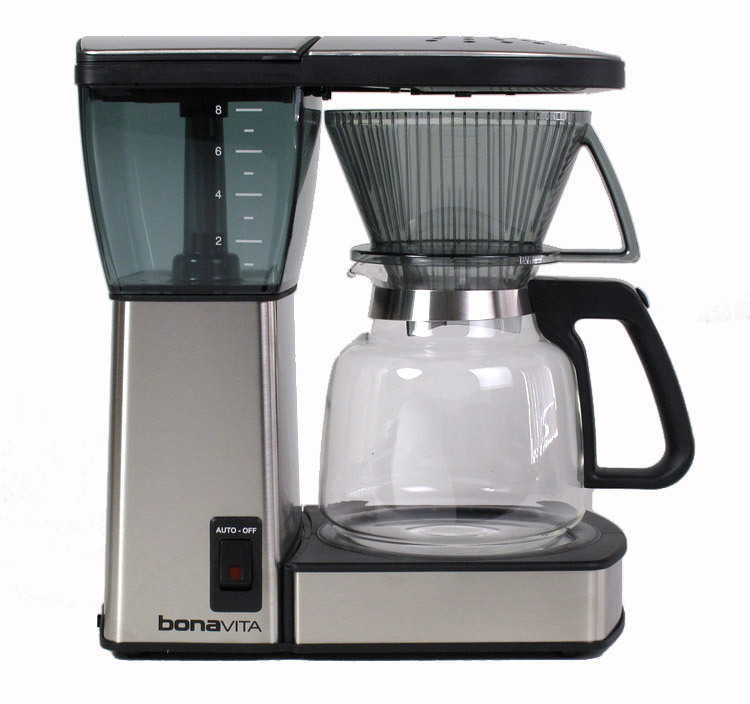 Sorry, we are currently sold out of 'Bonavita 8 cup Glass Coffeemaker'. Please check back later. Glass model with heating soleplate, this German engineered coffee maker promises to brew the perfect cup of coffee, everytime. One of the few brewers to have earned approval from, and met the high standards of, the Specialty Coffee Association of America (SCAA). 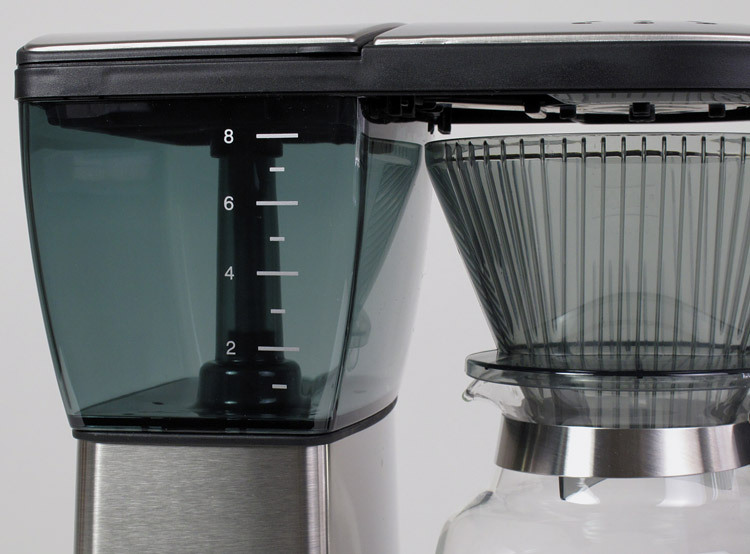 In a stainless steel finish this brewer not only looks sleek, but it also has a smart design. It's size fits easily under most counters, being only 12 inches tall. 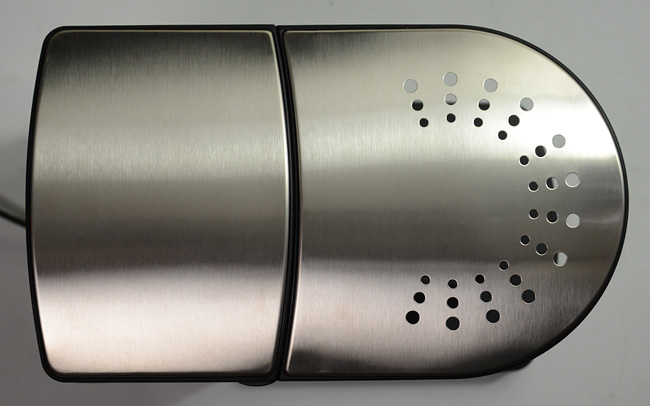 Bonavita has constructed a maker that will brew at the optimum temperature of 200 to 205 degrees, releasing water only once it has attained the proper temperature. The spray head completely saturates coffee grounds and produces an ideal extraction. This model comes with a glass carafe that sits on a 'keep warm' soleplate . 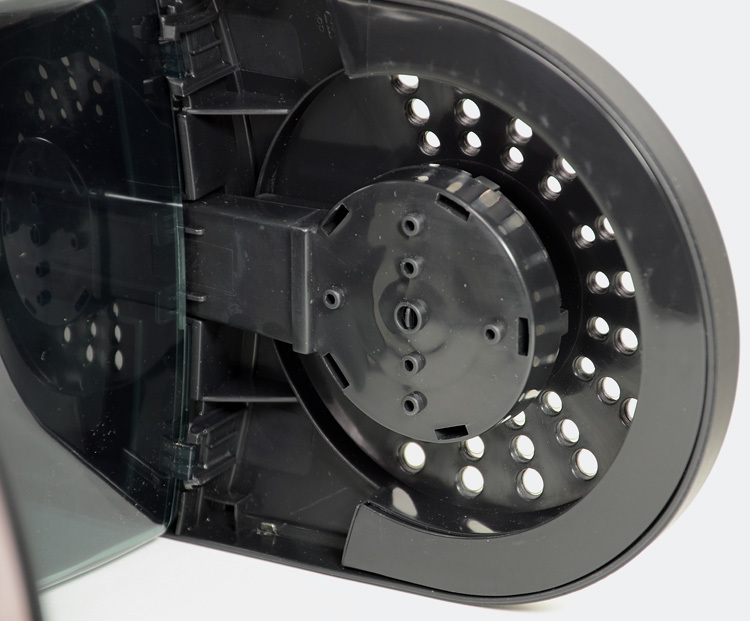 The entire top section, which includes the spray head and reservoir cover, can be removed as one piece for thorough cleaning in sink or dishwasher, a feature not found in most coffeemakers. 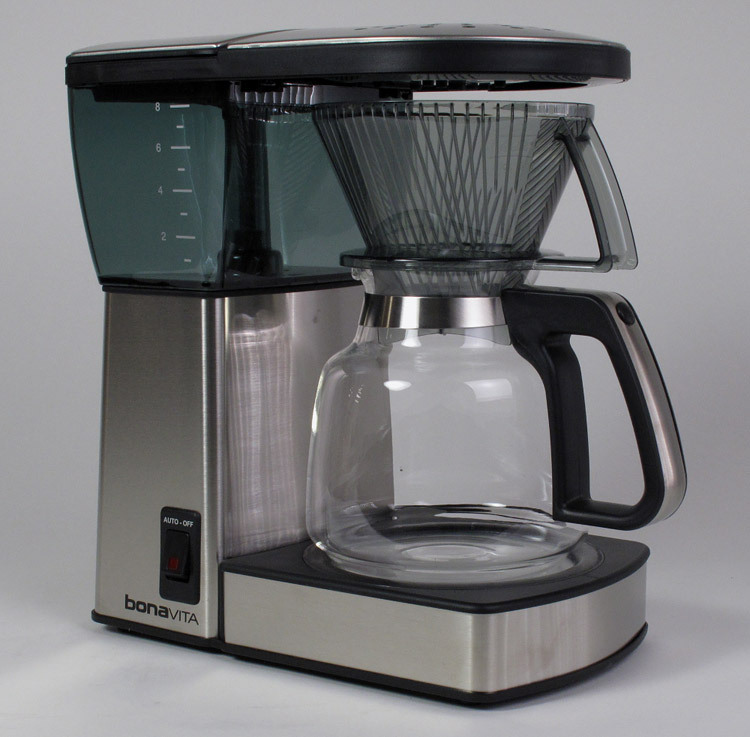 This brewer is the same as one manufactured by Melitta, a German company, and licensed in the US to Bonavita. 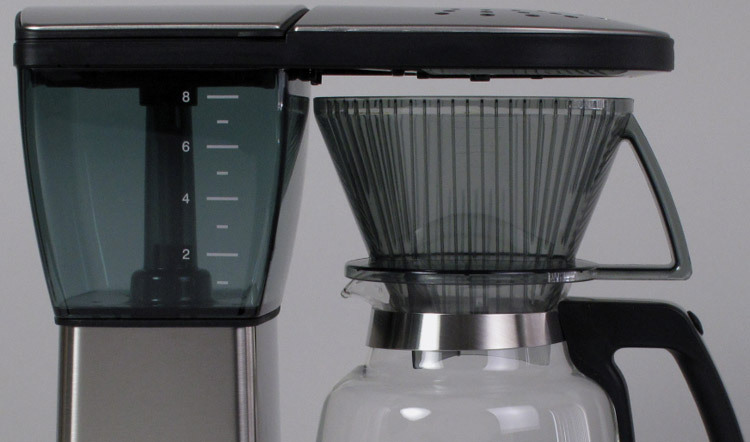 The coffeemaker fills a niche as a high quality and sensibly priced, high end brewer. Our own tests have shown the brew temperature, strength and flavor comparable to more expensive brands, but with less emphasis on making a design statement.